I haven’t read the book that Abraham Lincoln: Vampire Hunter is based on, and I never plan to. You shouldn’t have to do homework to enjoy a movie, and the idea is ironic considering this film rewrites history. It’s a joke that lasts for 90 minutes, but does it rely on it to entertain you? Find out after the jump. I enjoy bad movies. I recognize them for their horribleness (especially the Twilight series), and it entertains me. However, I know that’s not the same for everyone. Sometimes people see a bad movie and refuse to enjoy it. Unlike my Ghost Rider: Spirit of Vengeance review, where the film’s writing was horrid, this time it’s rather different. Only the idea is horrible, and the writing is actually competent – at some points, clever, even. It’s a movie that realizes the idea is bad, but it does not use that as an excuse for campy writing, which is what fascinates me the most. The story is true to it’s title, but it starts off with a Batman-like origin story. 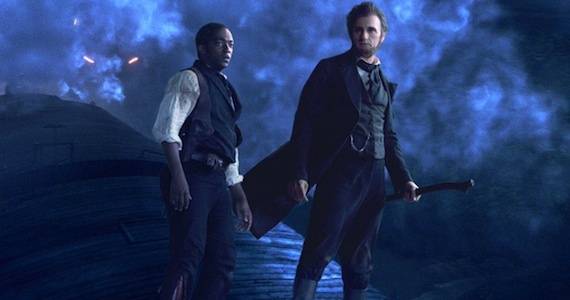 Lincoln’s family was traumatized by a vampire, which sets off a chain of events leading to Henry (Dominic Cooper) meeting a young Abraham Lincoln (Benjamin Walker). Henry decides to teach Abraham how to be a vampire hunter, which leads to him developing a signature fighting style with his familiar woodcutter axe. His rise in politics is fueled by both his dead mother’s philosophy and his childhood black friend, Will Johnson (Anthony Mackle). Seriously, this is like taking Abraham Lincoln’s life story and making him Batman fighting vampires. Warning: If you’re looking for a comedy film with Abraham Lincoln spouting jokes and silly puns, look elsewhere. Everyone takes this movie seriously (except you, the audience), and every moment of comic relief is intentional. This might bother people who were expecting a comedy, but the premise is comedic enough. The actors hardly crack a smile out of place, and Benjamin Walker plays a very human Abraham Lincoln. The performances weren’t masterful, but the actors did their job effectively. My favorite aspect of this movie is the imagery. I almost expected that to fall apart, but it actually worked wonders. 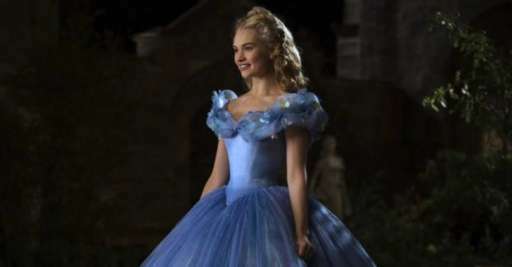 The sets and costumes are the best part of the movie. The establishing shots were exciting, and it all really brings early America to life. It reminded me of the first half hour of Peter jackson’s King Kong. It has several action scenes that are amped by usually creative gore, but when it does get out of the wooden houses, you will get action scenes that are worth watching again. The editing can get a little weak, but that’s rare. The director, Timur Bekmambetov, realizes that film is a visual medium and should take priority after storytelling. While it’s not great story, it’s better than most action-horror films we have nowadays. Of course, Tim Burton’s attachment to the movie must have helped him out. Sometimes it gets rather artistic, but not too thought-provoking, thankfully. The biggest problem I had with the movie is the dialouge. Not because it was atrocious – it really wasn’t – but because it was mediocre. When you get to Abraham doing his speeches, it’s the material you have read and seen before. 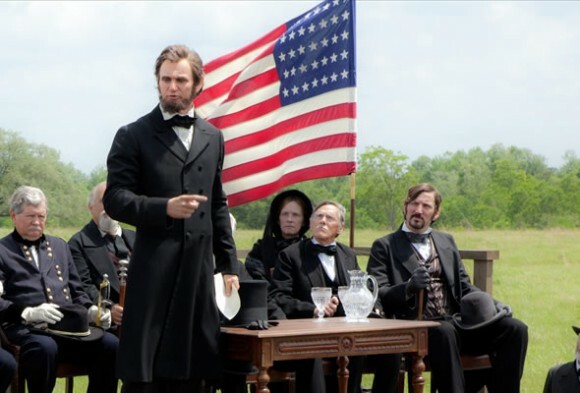 Even though they were delivered well, most of the credit goes to the real Abraham Lincoln’s best moments. Around the third act is when the story starts shaking a bit, because for a brief moment, it tries harder to relate to real history. Thankfully, it quickly drops that and gets back to vampire hunting. Some of the outdoor scenes might be too foggy for most people, but it adds to the picture’s atmosphere. There are some tropes the movie forces itself onto, but manages to give it a slight twist so it’s not entirely predictable. The gore was plenty and consistent, but not disgusting. If you cannot get past the premise, you will not have a good time. If, however, you would enjoy the idea of our best president killing vampires, then I promise that you will have a blast. It’s competent in its story and visually wonderful. It’s smarter than most B movies we have this year, and you don’t have to turn your brain off completely in order to enjoy it. I usually don’t do this, but…please see the movie because it would lead to the most incredible sequel of all time.